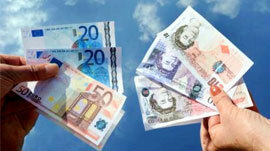 Happy Currency Exchange (“HCE”) dedicates to delivering competitive currency exchange rates to our customers. We provide over 100 different foreign currencies cash at our Vancouver, Richmond (open 6 days) and Burnaby (open 7 days) branches with no transaction fees; and Worldwide Wire Transfer only $25 (when you exchange currencies with us). Now we offer an online booking service – eCash. With 50 foreign currencies available, you can secure your rates in just a few clicks.